The City of Spokane prioritized citizen input as key to the decision-making process when replacing its neighborhood pools. 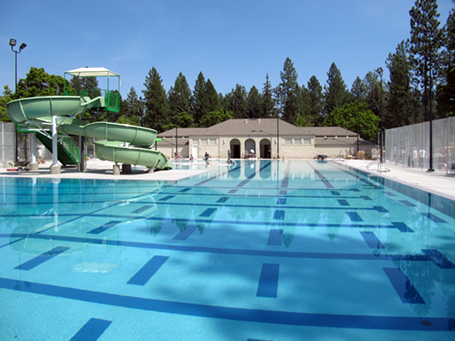 The most challenging was the Comstock Park Neighborhood Pool, serving Spokane’s southern region. Over the years, this pool facility had been well patronized by the local community in an established neighborhood. The Comstock community wanted to maintain the charm and character of this facility. Working with the Comstock community was key to success as well as addressing changes. The new “family oriented” pool design incorporates those of a traditional “rectangular tank” of the past while incorporating lap lane swimming with family fun features, a new concept, which was very well received.